Iron Curtis, Morning Factory, Falcon, Ralph, Achterbahn d Amour, Damiano Von Erckert and more. Sidetracked return after a years absents in our mix series. We have been very busy settling into our new home at the Darkhorse. But finally we have been able to rattle up together a great series of mixes for our series coming. 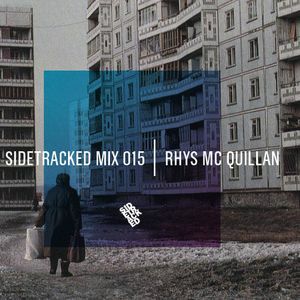 The first mix of this year and to really end the year off is our splendidly awkward friend Rhys McQuillan. Rhys doesnt dj many places or hold residencies in any club in the city but one thing for sure is certain, His mixes are very much noticed around the Dublin scene, So much so that many nights and clubs in Dublin have been trying to get this lad to play to a crowd but to no avail. Rhys&apos; vinyl collection really shows through in this mix and its definitely has a personal touch on it. Now until he plays out you must settle with this fantastic 50 min mix.